The Pennsylvania Natural Heritage Program is a partnership between The Western Pennsylvania Conservancy, The Department of Conservation and Natural Resources, The PA Fish and Boat Commission and, The PA Game Commission. in cooperation with US Fish & Wildlife Service and is a member of the International Network of Heritage Programs called NatureServe. PHNP helps guide conservation work and land-use planning, ensuring the maximum conservation benefit with the minimum cost. PNHP conducts inventories and collects data regarding the Commonwealth's native biological diversity. Information is stored in an integrated data management system consisting of maps, manuals, and computer files. PNHP relies upon information from a wide variety of sources to develop and sustain the ongoing inventory. Concerned citizens are encouraged to make suggestions or provide information that will assist with the project. The loss of species and natural communities is often inadvertent and easily avoidable. The more complete our information on what exists where, the greater our chances of preventing additional losses. PNHP is partially funded by contributions to the Wild Resources Conservation Fund. 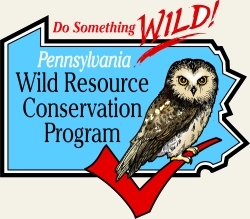 The Wild Resource Conservation Fund was created by the Pennsylvania legislature for the management and protection of native wild plants and non-game wildlife. Your contributions will assist with the efforts being taken to ensure the survival of these wild resources.